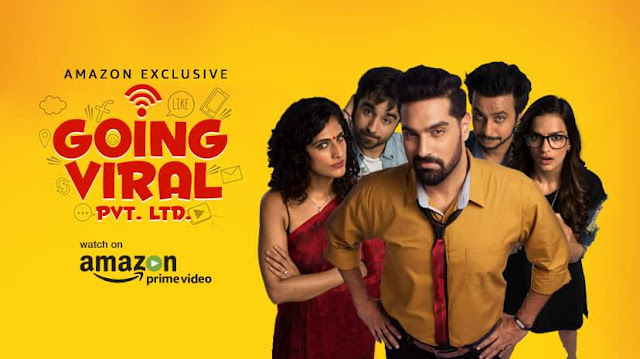 Going Viral pvt ltd is a newly launched web series on Amazon Prime Video. The series is written and directed by Anuvab Pal. Eight episodes, each with a duration spanning anywhere between 20-30 minutes. The show is about a company called Going Viral Pvt. Ltd. in which Kapur, better known as @Gaurav throughout the entire series, plays the role of the company's boss while his on screen wife Natasha (Sait) is in charge of the accounts and finances. Shravika is their newest CFO (Shah) and Panjabi plays Frehan — the scapegoat of the company. Chaturvedi is Peon. Full stop. Going Viral Pvt. Ltd. specialises in — you guessed it — making things go viral.